Jackie Hai, KJZZ Phoenix Digital Media Editor and Journalism That Matters director, shared a pitch deck she created to make the case for engagement in newsrooms. You are welcome to download a PowerPoint version to modify and use under a Creative Commons license. Both versions have annotations explaining each slide — in the presenter notes in the PowerPoint and on a comment layer in the top left corner of the PDF. The presentation gives an overview of what engagement means and provides examples of different types of engagement along with case studies from the field. It ends with a mini World Cafe for the group, to give your own organizations a preview of what an engagement experience can be like. Can’t make it out to Portland for Elevate Engagement but still want to plug in from a distance? We’ve lined up a few ways to participate both asynchronously or synchronously. Twitter – Follow and join the conversation on Twitter using the hashtag #PDXengage17. Experience Engagement Facebook Group – Expanding on the Facebook group from our 2015 gathering, we’ll upload photos to this group. Thursday, May 18 at 6 p.m.
We’ll be broadcasting this session on Facebook Live and Periscope. Watch this page and #pdxEngage17 Thursday afternoon for more details. Friday, May 19 at 6:30 p.m.
We’ll be using an exciting new engagement tool from the creators of Civil Comments: Civil Live. With this new technology, we’ll be able to solicit questions or thoughts from you in advance and in real time. You can join those in the room to upvote the questions and ideas to bring to the conversation. Keep an eye on this page Friday evening. How can the public engage, not as an audience, consumers or marketplace, but as participants, with journalists, in creating civic structures for engagement and storytelling? In addition, how must news organizations and journalists evolve so they are seen by diverse communities as trustworthy and culturally competent enough to tell their stories? For more information, visit Elevate Engagement. 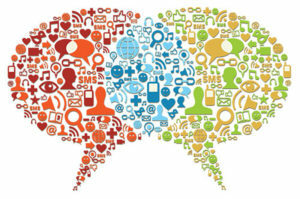 Please join Journalism That Matters and the National Coalition for Dialogue and Deliberation (NCDD) for a “confab call” on Wednesday, March 15 from 1-2:30pm ET/10-11:30am PT to continue the conversation that we began at the October 2016 NCDD conference on innovative ways for journalists and public engagement practitioners to partner. We’re using Zoom for this interactive session that will include a couple of journalist-engagement practitioner stories. The invitation is going out to both journalists and public engagement practitioners, so we’re looking forward to a creative exchange. ATHENS, Ohio (Oct. 12, 2015)—The Journalism That Matters (JTM) board elected Dr. Michelle Ferrier, associate dean for innovation, research/creative activity and graduate studies at the Scripps College of Communication at Ohio University, as president of the organization on Oct. 4, replacing Chris Peck, former editor of the Memphis Appeal and outgoing president of ASNE. Ferrier has been on the board of JTM for more than five years and has developed new programs for JTM such as the Create or Die series of events in Detroit and Greensboro that birthed media entrepreneurship innovations in those areas and across the United States. Ferrier will lead one of the nation’s most visionary organizations that for more than 14 years has led conversations helping professionals to navigate the changing role of journalism. A signature approach of JTM has been to bring diverse stakeholders to the table and use unconference practices to foster breakthrough conversations and action. A former newspaper columnist and managing editor for online communities, Ferrier has been a pioneer in digital media and content/learning management systems. Ferrier is a researcher and practitioner around online communities, hyperlocal online news, media entrepreneurship and online education. Ferrier is also the principal investigator for The Media Deserts Project that examines the changing media ecosystem using geographic information system technologies. 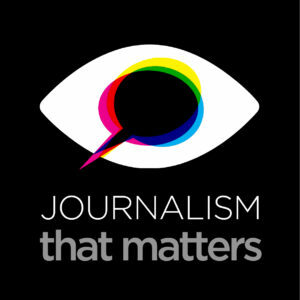 “Journalism that Matters has provided me with a unique perspective on the changing media ecosystem and the role of journalists, technologists, librarians, city planners and others on creating sustainable, local journalism,” said Ferrier. “It has also been a place of restoration for me of the passion and heart of why I got in to journalism,” she said. Ferrier completed a Ph.D. degree in Texts and Technology at the University of Central Florida. She holds a master’s degree in journalism from the University of Memphis and a bachelor’s degree in journalism from the University of Maryland. JTM also brought on two additional board directors: Mike Green and Jackie Hai. Green is co-founder of ScaleUp Partners a consultancy serving local leaders in the innovation economy. Hai is a multimedia artist and educator teaching at Arizona State University in Phoenix.